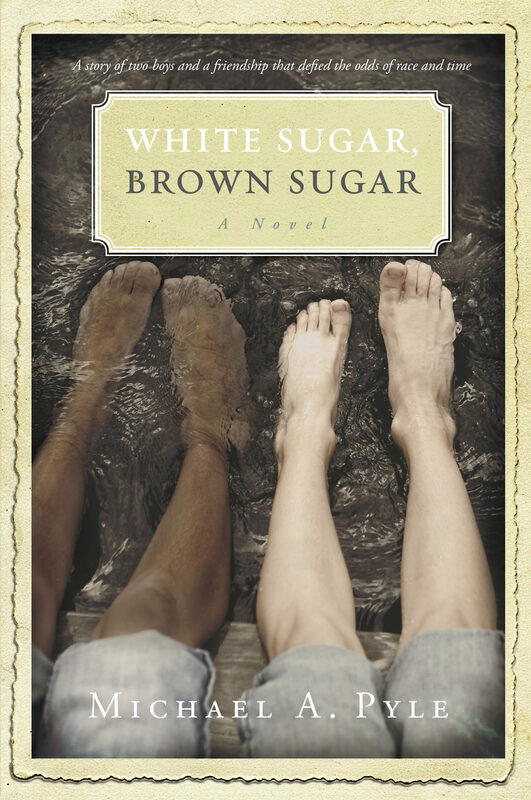 White Sugar, Brown Sugar is a novel set in Daytona Beach, Florida. An upper middle-class white boy from the peninsula, or beach-side, of the Inland Waterway, and a black boy of lesser means, who lives west of the railroad tracks, where Blacks (who were called Negroes and other names at the time) were required to live, become good friends, in spite of the racial separation in effect in the 60's in the south. David "Jude" Armstrong and Roosevelt Harris meet at a basin of a yacht club. Jude, the white boy, fishes from the docks, where stately boats stand. Roosevelt, the black boy, and his family, fish with cane poles on the wall next to the street. The boys meet various times over the years. The tranquility of Jude Armstrong's safe, upper middle-class white world ends when his alcoholic mother tosses his father out of the house. Roosevelt Harris's life has never been tranquil. He has grown up with his grandparents. He has never known a father, and his mother is a heroin addict who disappears for weeks at a time, and is incarcerated frequently. Neither boy understands the racial issues of the time. Both boys fully understand the misery and difficulties that arise from abuse of alcohol and drugs, and both swear they will never end up in that situation, yet they both follow the same path. Eventually, Jude's father, Lansing Armstrong, an attorney, helps the boys escape criminal prosecution for drug-related crimes, and becomes a guiding light for both boys. Roosevelt grasps sobriety much sooner and easier than Jude does. As the founder of a successful restaurant business, he eventually places both Roosevelt and Jude in control of the business. Jude and Roosevelt struggle to overcome their prior problems, and eventually lead normal and successful lives. White Sugar, Brown Sugar follows their loss of innocence, submergence to the depths of desperation and eventual emergence as recovering adults. It is a story of deep friendship, hope, strength, and inspiration.